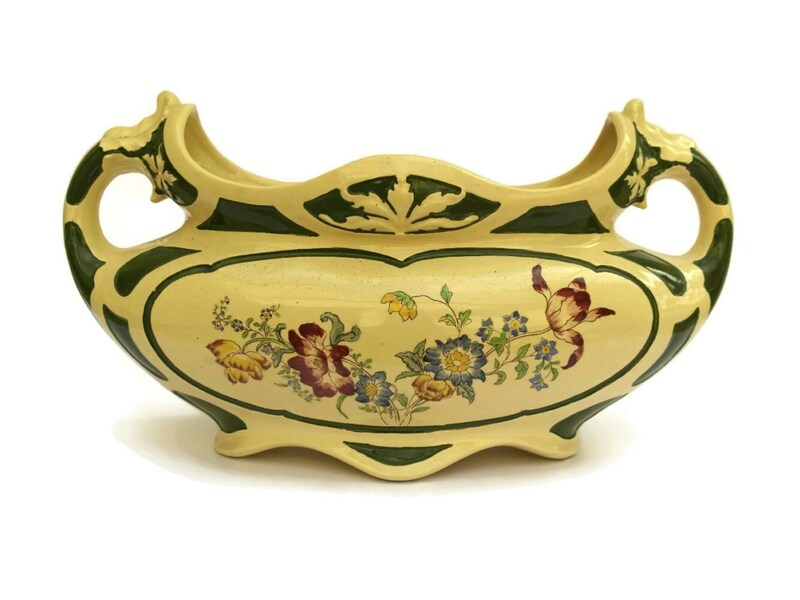 A charming French antique jardiniere manufactured by the renowned Clairefontaine faience company which operated from 1804 - 1932. 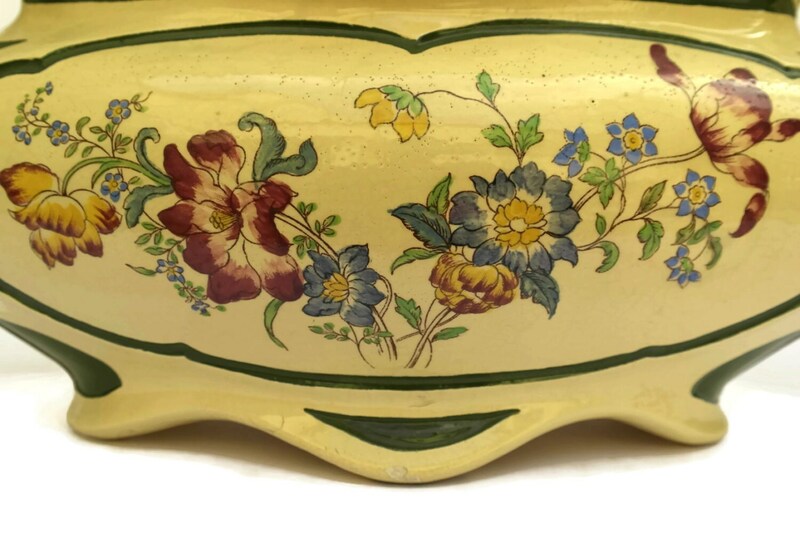 The Art Deco ceramic cache pot has been produced from glazed ceramic and features a floral transferware motif with hand painted highlights. 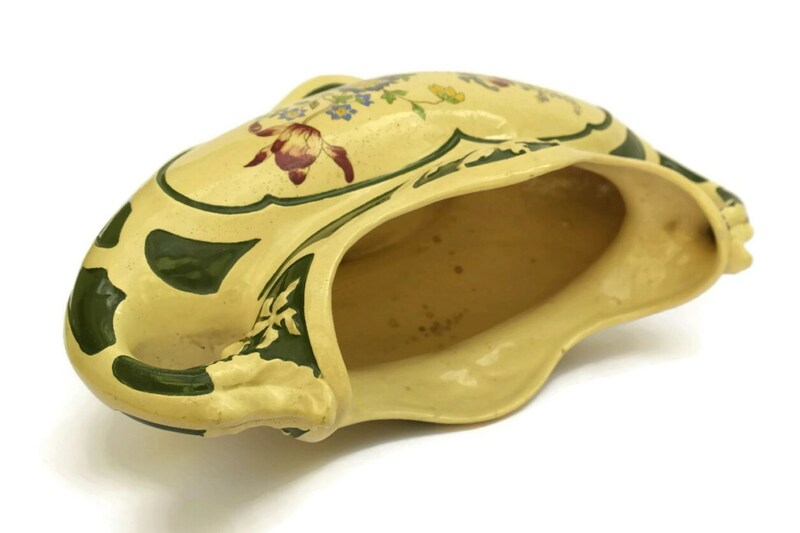 It has a classic form with ornate handles and rests on small feet. The base has been marked with the manufacturer's name "Clairefontaine" and pattern reference number. 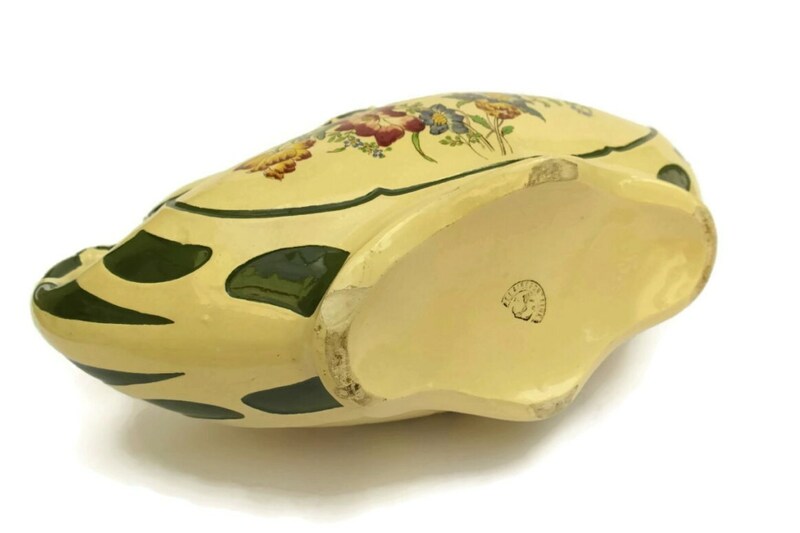 (42 cm x 22 cm x 17 cm). 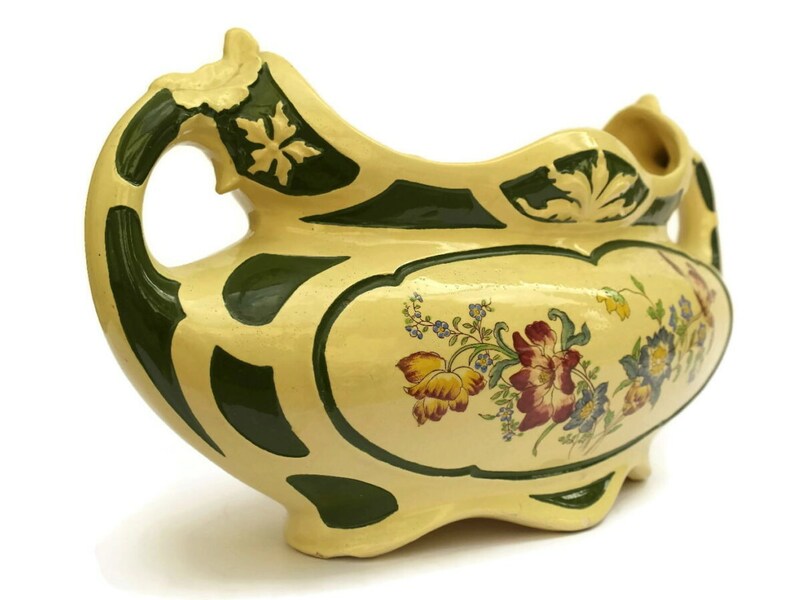 The ceramic cache pot is in good condition with light staining to the interior. There is a chip to the underside as shown in the last image.